Jennifer combines her wealth of knowledge of ancient practices and neuroscience with years of clinical work to create a masterful guide to building flexibility and stability, both essential ingredients to resilience. Many people come to therapy because they are somewhere on the continuum between presence and overwhelm. How in the world do we bounce back from disappointment, difficulty, disaster, trauma, overwhelm and fatigue? Strengthening resilience is the capacity to have a solid-flexible self. You can bend with the wind, go with the flow, and bounce back from adversity. Strengthening resilience is essential to the survival and thriving of human beings. It is teachable, learnable and truly recoverable. 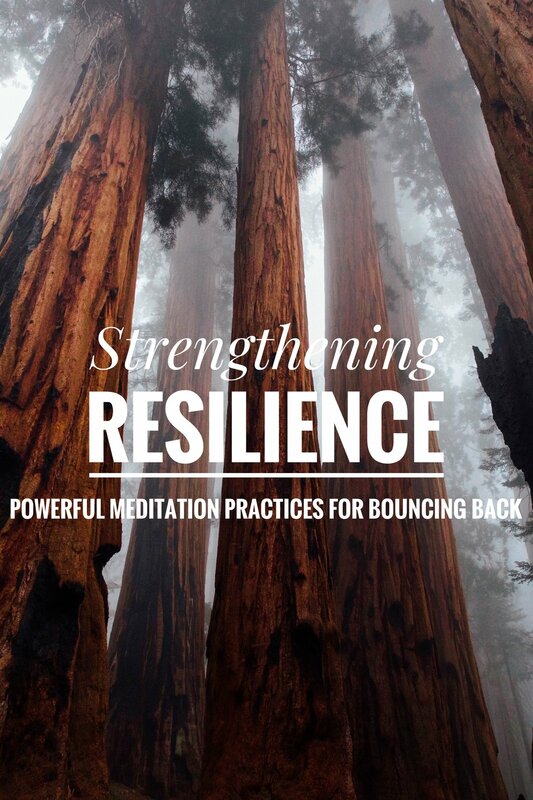 Using powerful, efficient and effective, experiential meditation exercises, this group is designed as a guide to resilience specifically as a brain-training program to help you strengthen your capacities to bounce back. This is not only meditation and mindfulness. It is resilience training. You can learn to see yourself as someone that can cope and help you bounce back from any adversity so you can get back to thriving and flourishing in your life in every way. Wednesdays 6:00 p.m. to 7:00 p.m. Kids are busy! The last thing anyone needs is one more thing to do.....or somewhere else to be. After numerous people reached out to me to help them with their teen/pre-teen with mindfulness skills, I have decided to craft an online course. Kids need mindfulness now more than ever. Taking a class online in an engaging format would be an effective way to reach our teens today. This program aims to help reduce anxiety, stress, depression; and increase performance, focus and attention. Mindfulness for Teens (ages 12+) is a 8-week online course that uses the .b, curriculum from The Mindfulness in Schools Project. Pronounced (dot-be) which stands for 'stop and be' is a simple practice at the heart of this course for ages 12-18. Each .b lesson is expertly crafted for teaching distinct mindfulness skills. The .b materials are colorful, engaging and designed to engage even the most skeptical of young minds. It is Dr. Peter Levine’s life’s work of over 45+ years of successful clinical application. He overlays a multidisciplinary study of stress physiology, ethology, biology, neuroscience, indigenous healing practices, medical biophysics over psychology methodologies. How Does SE™ Work? What is a typical session like? Dr. Peter Levine says, “Trauma is a fact of life. It does NOT, however, have to be a life sentence.” The SE approach broadly covers the spectrum of releasing shock trauma from an unexpected traumatic event, which is key to transforming PTSD, all the way to the wounds of emotional and early childhood developmental attachment trauma. Sessions are one hour in length and we will work introspectively for about 20-30 minutes of that with time to process. 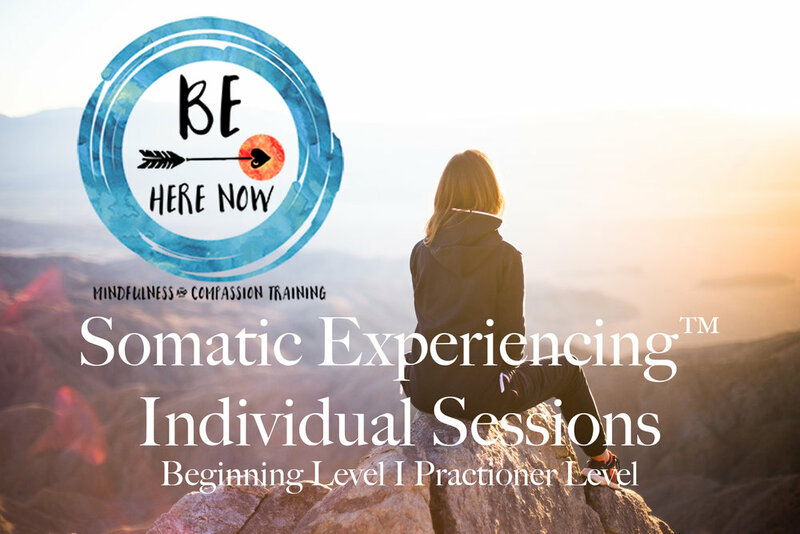 Somatic Experiencing Practitioners (SEPs) attend a 3 year training accumulating 216+ hours of training, as well as professional consultations and personal one on one sessions of their own. As a beginning practitioner, I am allotted with deep alliance to the professional and therapeutic standards to only practice the techniques that I am currently training in. As I continue on my SE journey my repertoire and skill sets will advance. Fridays 10:00 a.m. to 12:00 p.m.
CBCT® Cognitively-Based Compassion Training is an eight-week educational program designed to cultivate compassion for self and others. 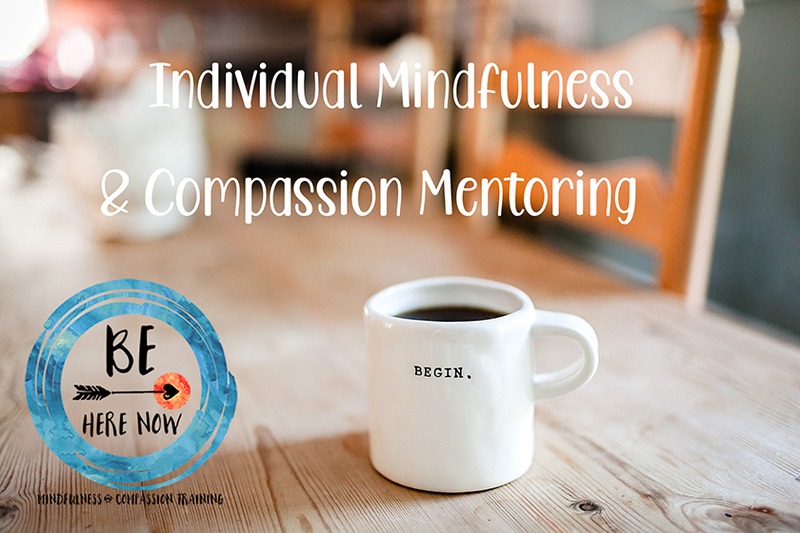 Using systematic and analytical meditation, the program aims to increase your resiliency, help you feel more connected to others, and ultimately provide you with an overall sense of well-being. 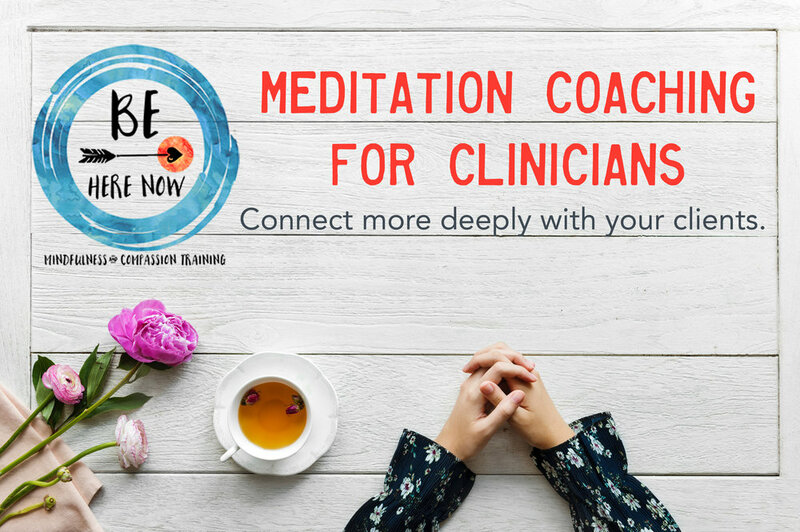 CBCT® is designed to support anyone who wants to cultivate compassion and take a deep dive into meditation practice for greater wisdom, confidence and compassion. This includes coaches, therapists, caregivers, educators, healthcare professionals, executives, nurses, M.D.s, public servants and all change agents. To read about my personal story with CBCT®: Click Here. Or read this blog post on making a case for a more compassionate community: Click Here. Short three-week mini mindful classes held online. They are themed three-week courses on topics ranging from forgiveness, self-care, setting up a meditation practice, compassion and psychology. They usually take place in the evenings. You can check the schedule here. $45 which includes the cost of the entire 3-week series as well as any accompanied downloadable files, slides, or readings. If you have any questions contact me directly via e-mail. If you are interested in bringing a mindfulness program to your school, place of work, or wherever you would like to gather with a group of friends, please contact Be Here Now to schedule a unique public speaking engagement. 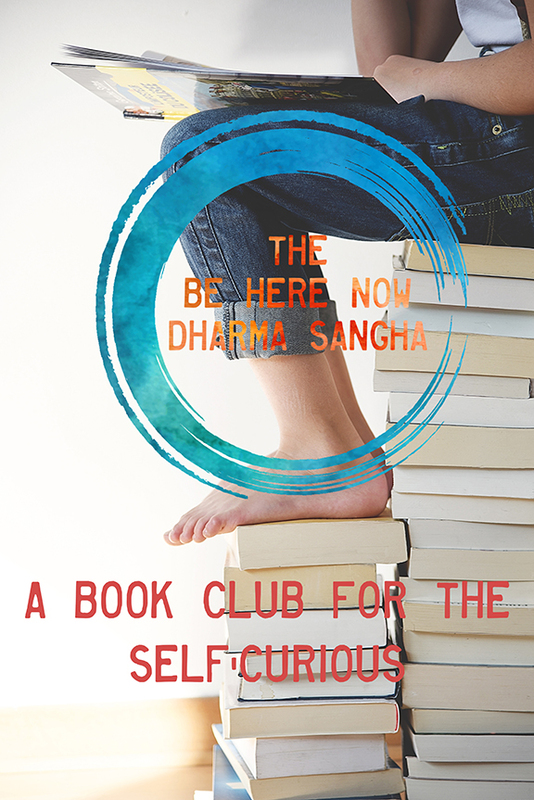 Be Here Now offers many courses to adults, an 8-week Cognitively-Based Compassion Training Course, an 8-week program for children and parents ages 5 and up; as well as a 10-week curriculum for teens. You can learn more about the .b Mindfulness in Schools Project 10-week curriculum for teens here. You can learn more about Compassion Training (CBCT) here. If you would like to inform your staff or parents about mindfulness and compassion training, please contact me to schedule an educational talk. All programs are specifically crafted and catered to your populations needs. Continental Breakfast and snacks are provided. CBCT® Cognitively-Based Compassion Training, is a cognitively-based training using analytical meditation and systematically works to cultivate compassion. Through progressive meditation exercises (beginning with the development of attentional stability and progressing through various analytical meditations), one gains insight into how one's attitudes and behaviors support or hinder compassionate response. The practice of CBCT intensifies the desire to help others, allowing compassion to become more natural and spontaneous in one's everyday life. It also helps increase personal resiliency by grounding one in realistic expectations of self and others. This is a 16 hour training with CEU’s available for professionals. It was developed at Emory University in 2004 by Geshe Lobsang Tenzin Negi, PhD, and is now being broadly implemented and researched world-wide. **Limited space to the first 12 that register! 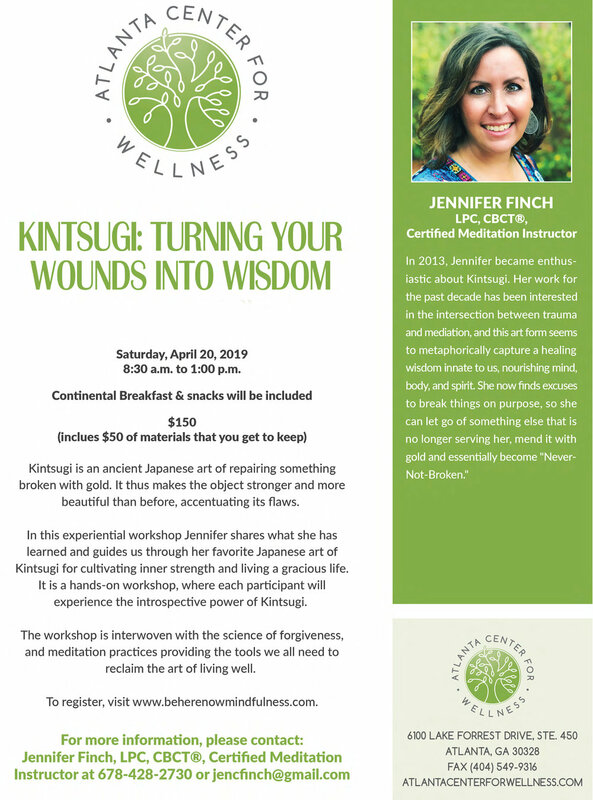 Whether you've never tried mindfulness or you have a daily practice, come hear licensed psycho-therapist and certified mindfulness instructor, Jennifer Finch, talk on mindfulness and its researched based benefits for you and your loved ones. You do not need to be a parent to attend. Jennifer will be addressing why she believes whole-heartedly that mindfulness instruction should be taught to our kids today, and how it can easily be integrated into our daily lives. We hope you can join us for at least one of these dates/times. Compassion is needed now more than ever. I think many of us feel this way. We are now aware more than ever of global suffering and that can feel overwhelming. We are more connected than we ever have been, but not in a compassionate way which leaves us feeling socially disconnected with rising rates of loneliness and anxiety. We desperately need the courage and the energy and the hope that compassion can provide. * Compassion is always a possibility, but it can also be sometimes really hard to access. What blocks it? Tuesday, July 10th 9:00 a.m. to 10:00 a.m. at Whole Foods/East Cobb: Will Compassion Be Missing from the Story of Your Life? That is what I will be discussing in this FREE one-hour talk. SPACE IS LIMITED SO PLEASE RESERVE YOUR SEAT HERE. Event date and time: Monday, July 2nd at 9:00a.m. to 10:00a.m. Limited spaces so please REGISTER HERE TO HOLD YOUR SPOT. 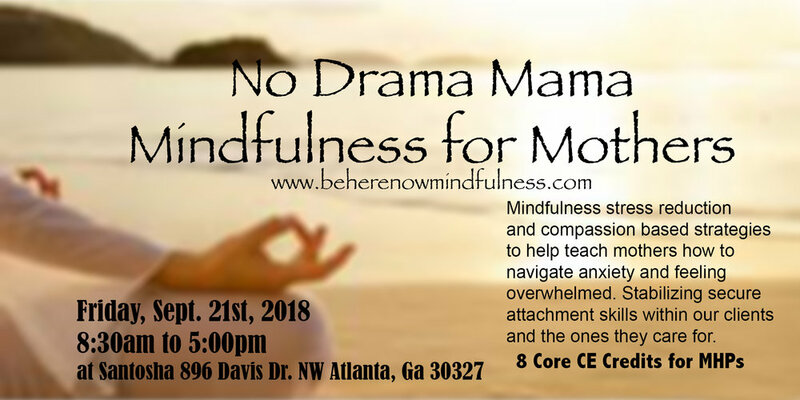 Whether you've never tried mindfulness or you have a daily practice, come hear licensed psycho-therapist and certified mindfulness instructor, Jennifer Finch, talk on mindfulness and its researched based benefits for you and your loved ones. You do not need to be a parent to attend. 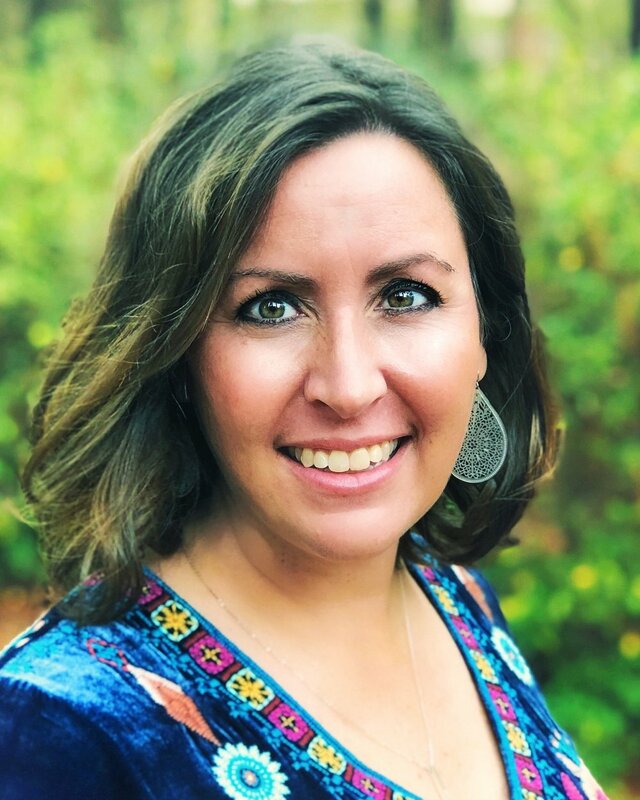 Jennifer will be addressing why she believes whole-heartedly that mindfulness instruction should be mandatory for our kids today, and how it can easily be integrated into our daily lives. Join us for this one- hour talk of immersion into mindfulness, stress reduction, increased focus, body awareness and inner care. Jennifer's work is based on scientifically proven methods that are very effective in helping with many stress-related issues. This Course is Not Currently Being Offered--Please Subscribe to stay updated on when this course will available. To be placed on a waiting list for this course please e-mail us here. Mindful Photography workshops are intensive and experiential. In this 2 hour class, you will learn how to intuitively use your camera and enhance the fun ability to see, capture, inspire, and embody the natural beauty that exists and surrounds us everyday. You will begin to notice what was previously unnoticed. Through the use of mindfulness techniques you will enhance an awakened sense of connection to the world's beauty and discover the unseen; noticing the cracks in the sidewalks where the flowers grow. Open to your creative side and use your camera as a powerful vehicle for self discovery. See the effortless beauty around you and use your camera as an extended expression of your eye, mind and heart. To check available times and register, click here, or go to Classes.